When running late, nobody has time to stand in front of the closet searching for an outfit. 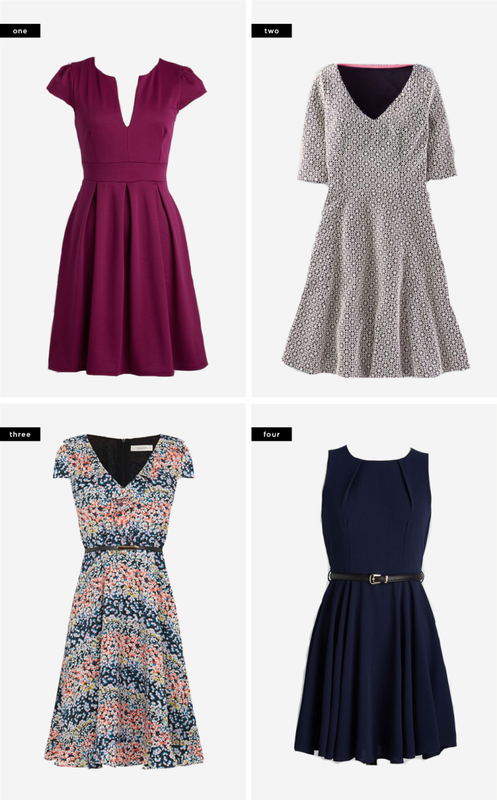 The answer to your morning rush woes is the five-second outfit, aka the dress. Perfect for the woman who wants effortless, feminine style, the classic A-line dress is ideal for any occasion or event because of its versatile silhouette. 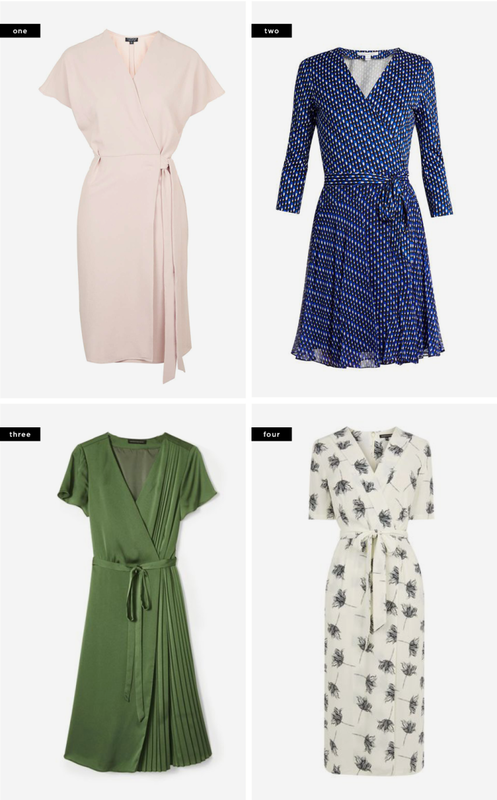 We’ve selected a few of our favorite variations of the universally flattering A-line dress that will literally save you from 7 a.m. chaos. 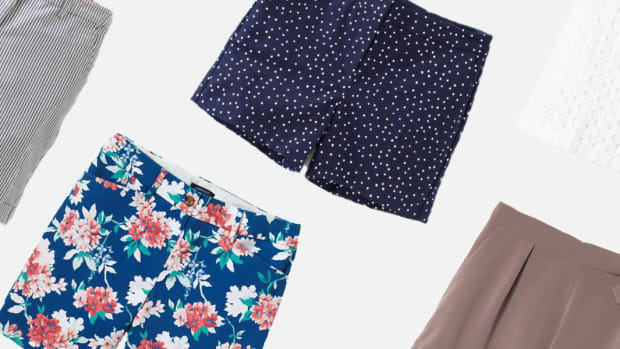 Incorporate a few of these beauties into your wardrobe rotation, and you will be out the door fast—without having to sacrifice your style. 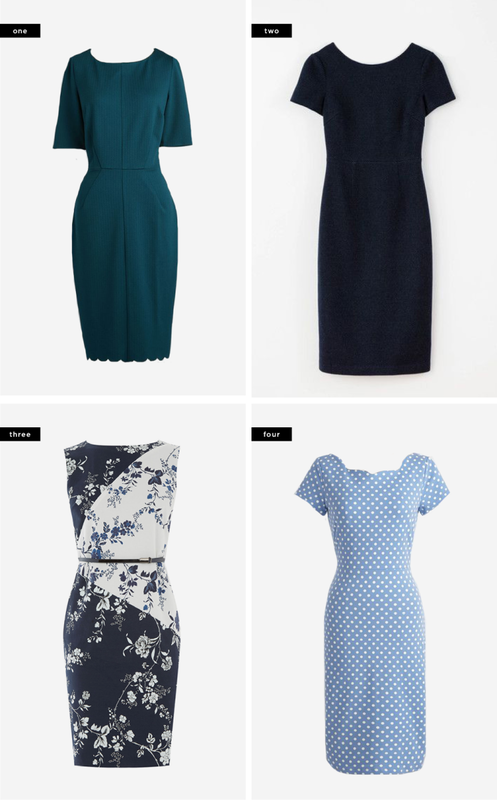 The most recognizable A-line dress style is the fit-and-flare. 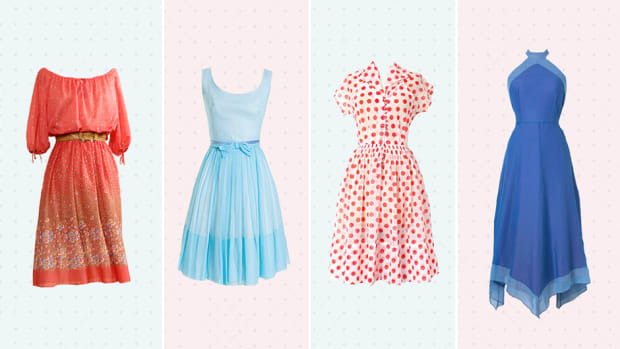 Who doesn’t love a dress that cinches in at the waist before flaring into a knee-length, twirl-worthy circle skirt? This style is perfect for any occasion, whether you’re dressing it up for a Friday night date or down for brunch with the girls. It has all the charm of a girlie dress but also serves as a practical choice during the hot months of the year. Luckily this dress does all the work for you, and you don’t even have to think about styling your outfit—just throw it on and go. We’ve all tried on a maxi dress or two that just looked plain bad. It’s true, the maxi dress can be extremely unforgiving when it’s not the right style. The problem most women encounter when trying on maxi dresses is the column-like fit. 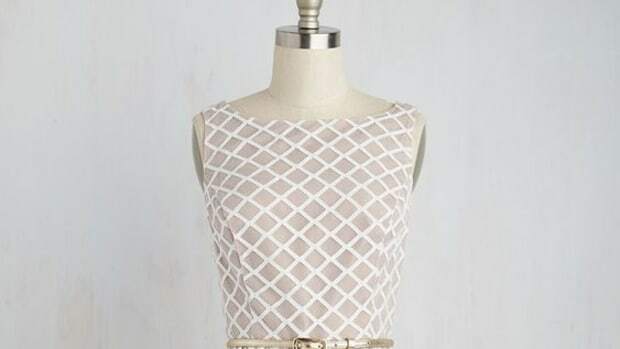 The key to solving this dress dilemma is to keep the A-line silhouette in mind. You can’t lose when your waist is being highlighted and the skirt is full. 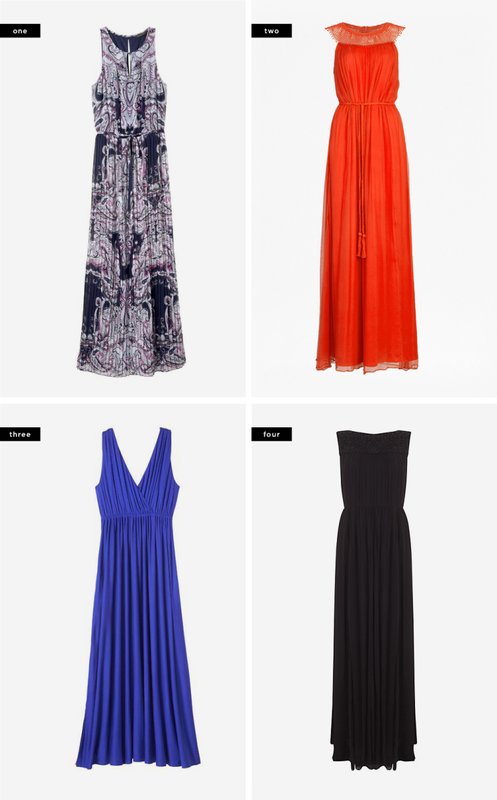 Look for maxi dresses that have lots of fabric in the skirt that billows around you rather than being skintight. This lovely, Grecian-inspired dress is perfect for both formal and casual events—just add (or take away) accessories. Now, I know what you’re thinking: “Didn’t you just tell us to stay away from form-fitting styles?” The answer to your question is in the length and fabric of the dress. A classic pencil dress that cinches the waist is equally flattering, but you have to make sure the length hits at your knees and the fabric is of high quality. A too-short or too-long tight pencil dress will cut off the line of your leg in an unnatural spot. When the pencil dress hits right at your knee, the natural line between your calf and thigh is highlighted. 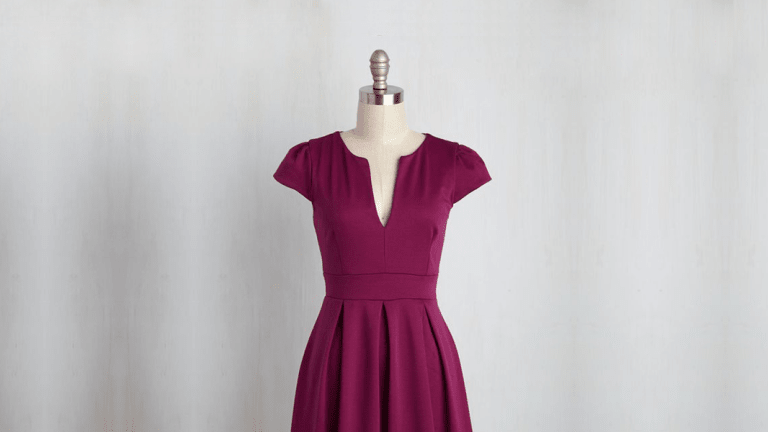 Sturdy, quality fabrics with a lining will keep the dress in place (no riding up!) and will smooth out your silhouette. The wrap dress is the edgier, more modern cousin of the fit-and-flare. With an easy, breezy wrap element, how could we not love this feminine fashion staple? The wrap dress is perfect for those who want to control the tightness of their waistline by adjusting it throughout the day. The wrap bodice also offers a flattering balance between bottom and torso, creating an hourglass silhouette. The best thing about the wrap dress? 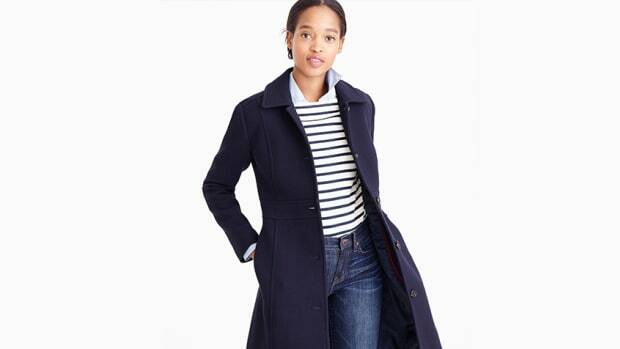 You can wear it to the office, on errands, on a date, or anywhere else you please.